Margaret is an Associate Professor of Agricultural Extension Education at Makerere University. She has over 10 years of practical experience supporting integration of gender into higher education, having successfully spearheaded the integration of gender into the agriculture curriculum at the university. This process involved resource mobilization, advocacy and lobbying for management buy in, gender capacity development, and curriculum review. 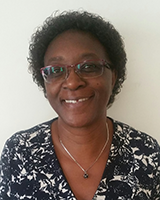 She teaches an undergraduate and postgraduate course on gender and agricultural development and supervises postgraduate students’ research on a range of topics including gender, agricultural extension and rural development. She has won gender-focused research grants and published in the area of gender and agriculture. Her research and short-term consultancy projects to African national and regional organizations, including the Rwanda Agricultural Board, Uganda’s National Agricultural Research Organization, ASARECA and RUFORUM, among others, focuses on review and advice on gender responsiveness of project proposals, gender training, evaluations, project design, and institutional analysis. She is a member of the international advisory committee of a USAID-funded project on Integrating gender and nutrition into agricultural extension and advisory services and a Co-Project Leader for GREAT.